Another great night here in Benson, AZ… I managed to capture some usable data for the Flame Nebula and the Whirlpool Galaxy. The bright glow at the bottom of the Flame Nebula shot is Alnitak, the left most star from our perspective of Orion’s belt in the Orion Constellation. I’m pretty sure I see two. 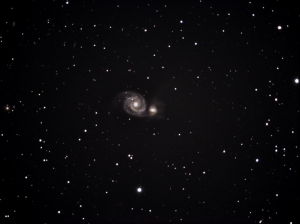 One appears edge-on at about 50 degrees and another at about 45 degrees but further away from the Whirlpool Galaxy. Do you tell us if we’re right? I see others that I think may be galaxies too, but they are much fainter; not as obvious. 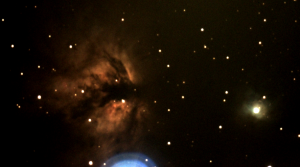 This really is a beautiful photograph, and the one of the Flame Nebula is too. I can see why you are very excited about this new equipment. I’m ready to see more! 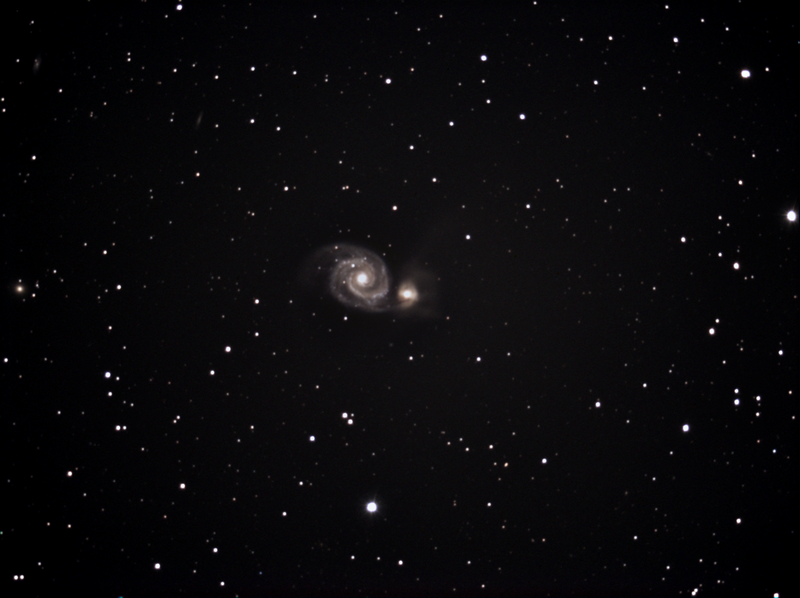 Re: Other galaxies in the Whirlpool photo: Ya, those are the two that I was able to find as well. As you said, there are likely others, but not really able to tell.